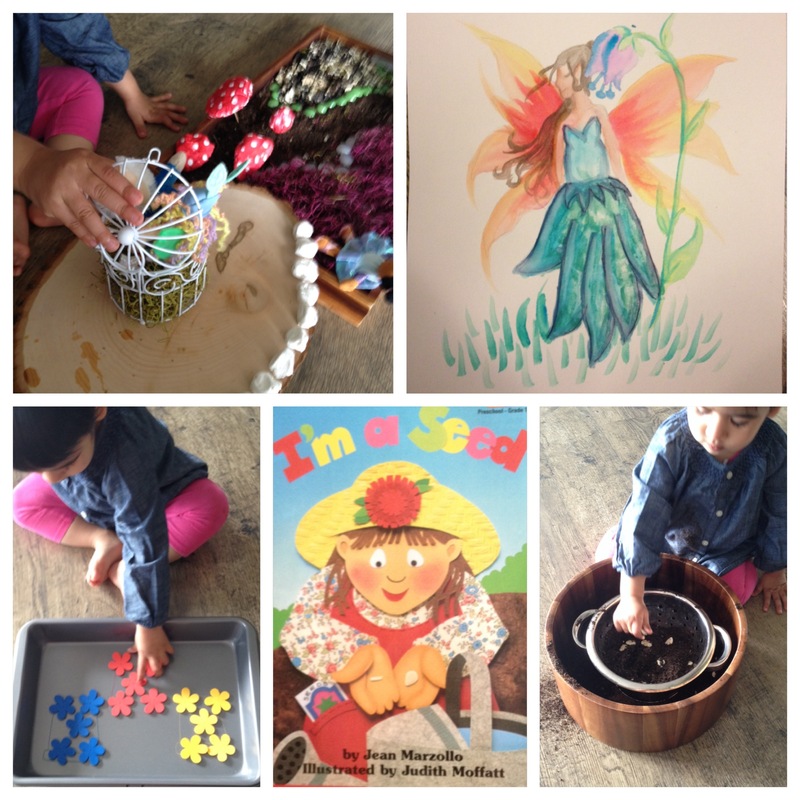 Mud Puddle by Robert Munsch: R listened intently as I read the “Mud Puddle” by Robert Munsch. I absolutely LOVE Robert Munsch (a fellow Canadian!!) and all his great stories. We even have some of his board book versions of his classics. R’s favourite Munsch story is “The Paper Bag Princess”. The paper back version of the Mud Puddle is quite long, so I shortened the story as I read it to her to hold her attention. 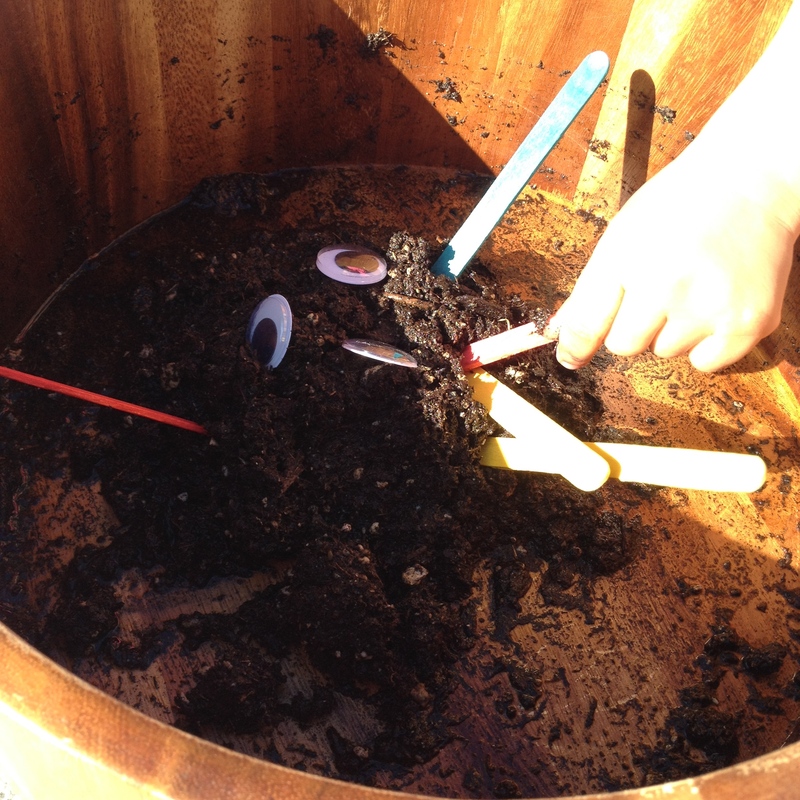 R had fun patting, mixing and squishing mud using her hands and making a monster with popsicle sticks (paddle pop sticks) and large googley eyes. 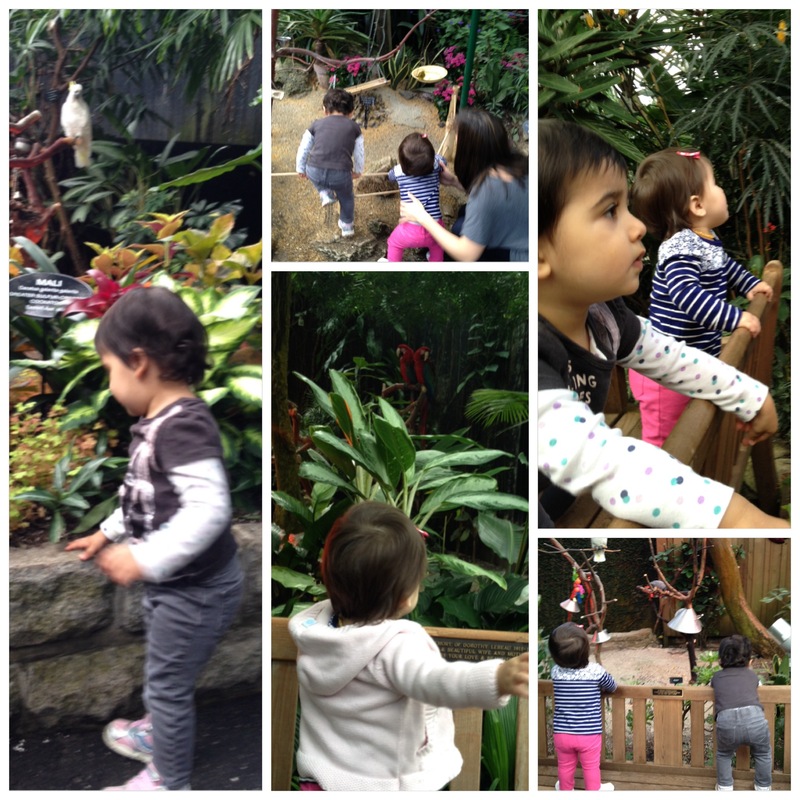 She loves the texture of soil and often play in it. I had added water to the soil to make it more of a muddy consistency. R examined it closely when it stuck to her hands but didn’t like it being there. She would play in the mud and then try to shake it off. b. Talk about what features make a monster a monster. 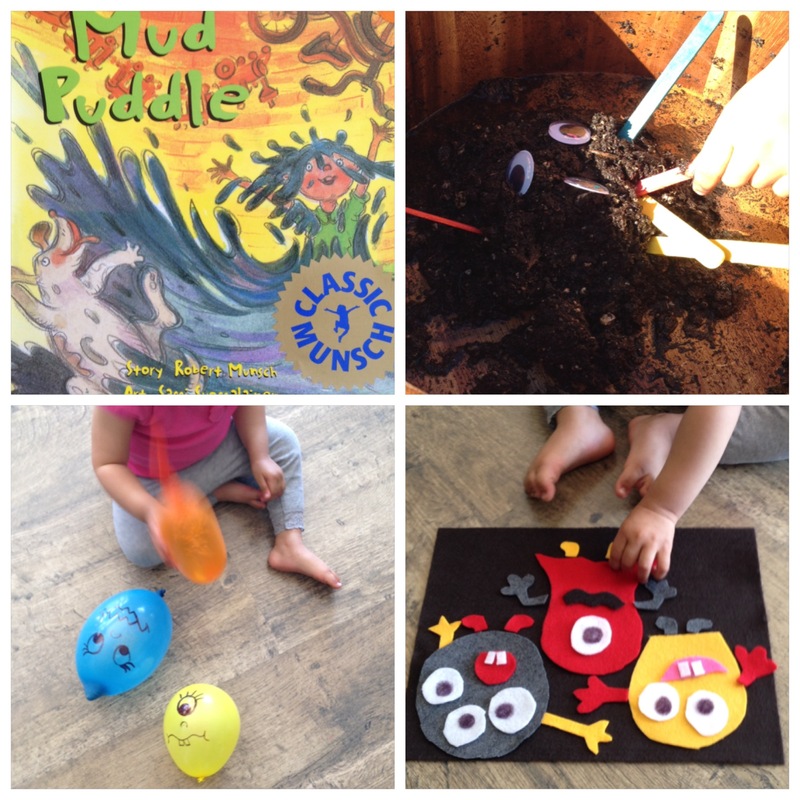 What parts are missing in our mud monster? 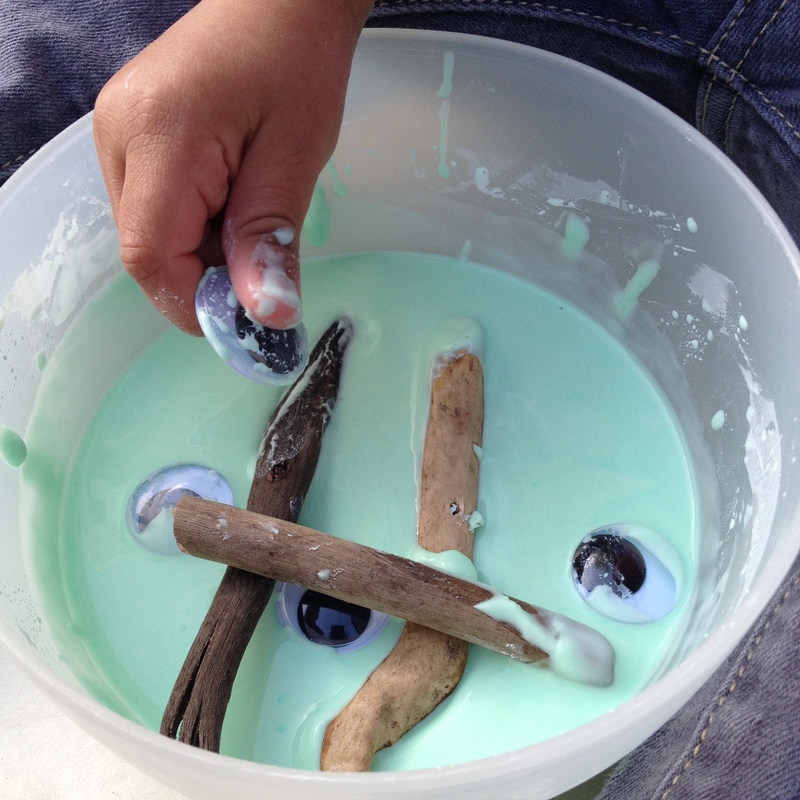 Have the child add other items to the mud monster to represent other monster parts. 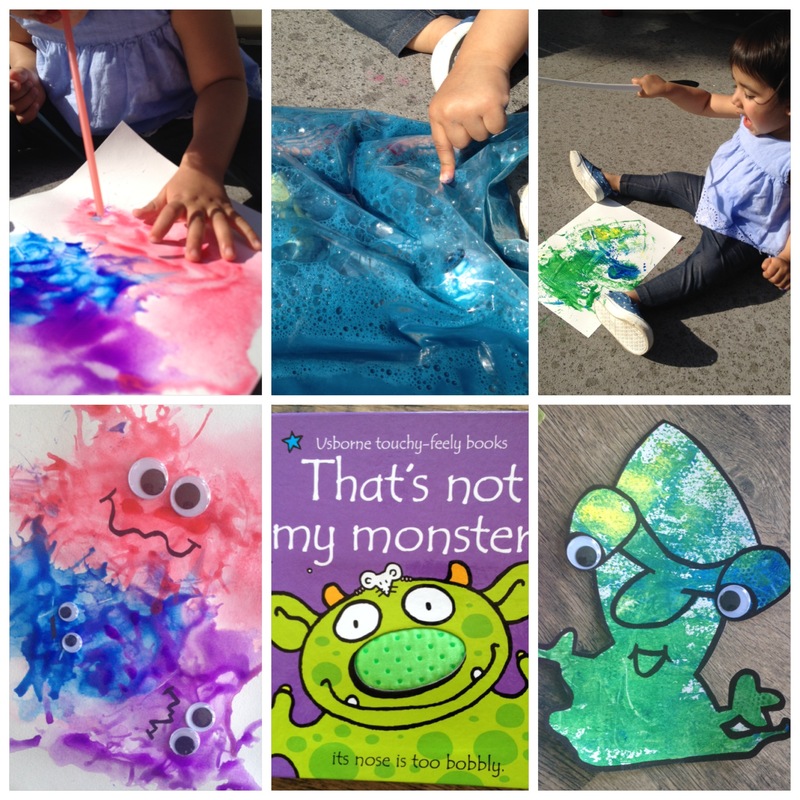 That’s Not my Monster by Usborne Books: R loves this series of books! 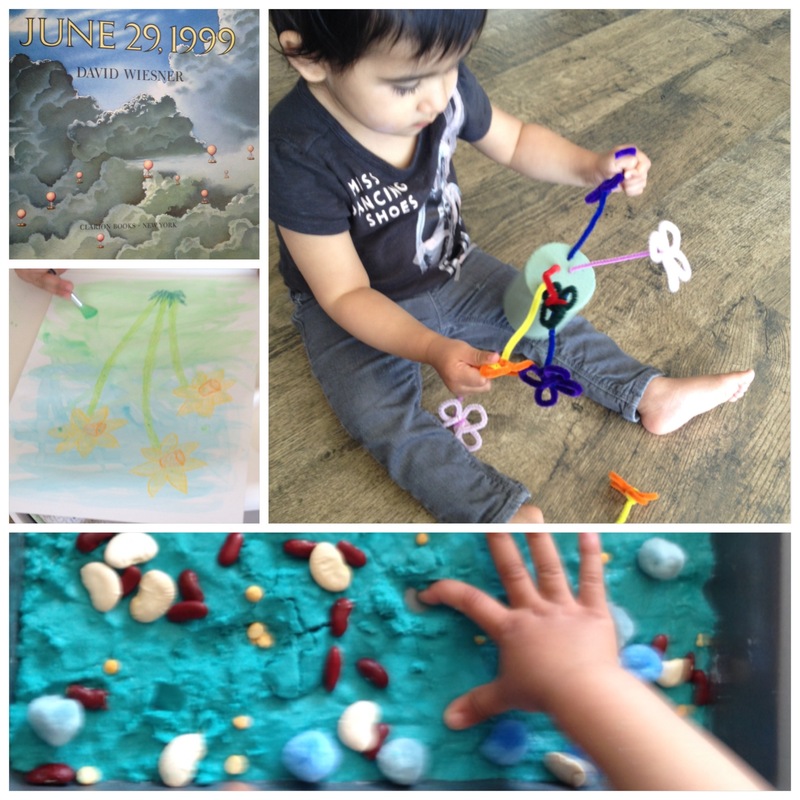 They have lots of things to touch and feel inside and always have beautiful illustrations. We also like to search for the mouse on each page. They offer a plethora of descriptive words in each book. These books would be great to explore with older kids who need ideas for adding descriptive words to their writing. 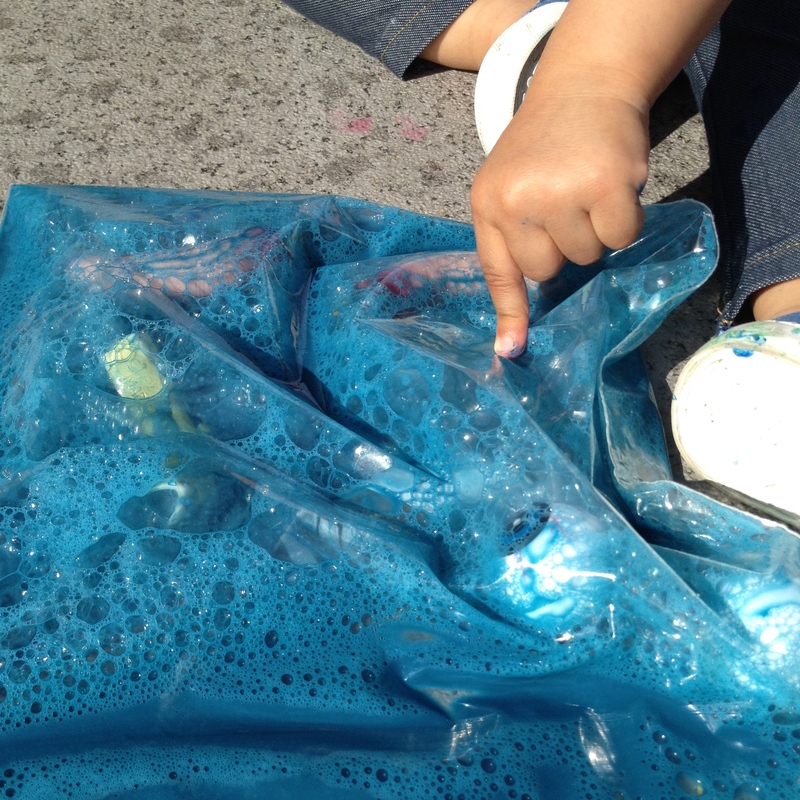 I adapted the ziplock bag paint activity into an I spy game. 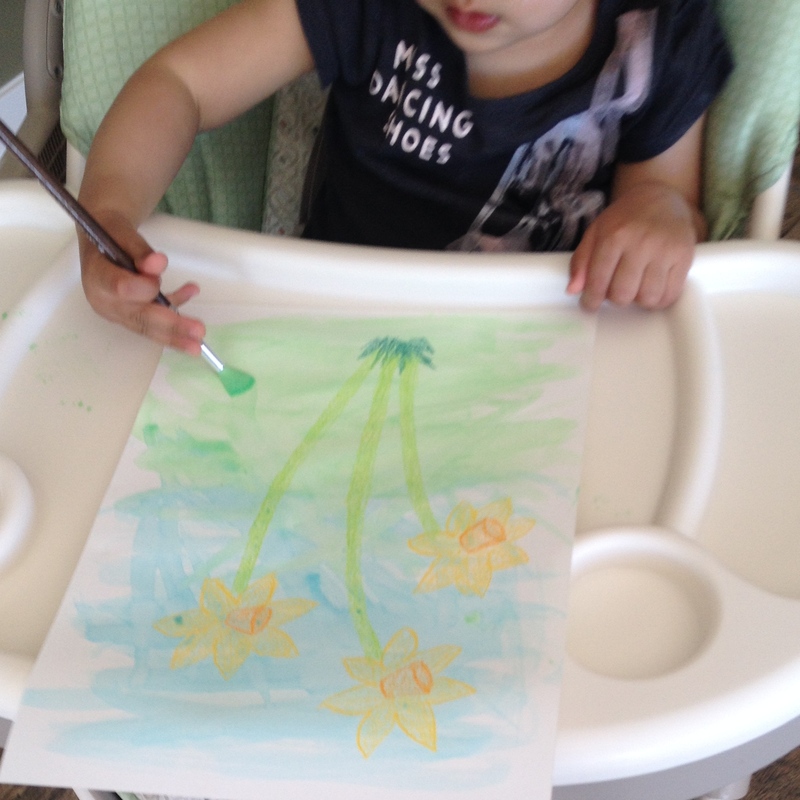 When R was about 12 months old, I had tried the ziplock bag painting activity with her and she showed very little interest in it. So this time, along with the paint, I added water, some dish soap and plastic “monster” parts (eye balls, fingers, teeth, ears, nose, etc) to the ziplock bag to try and engage R more. It definitely worked better this time! 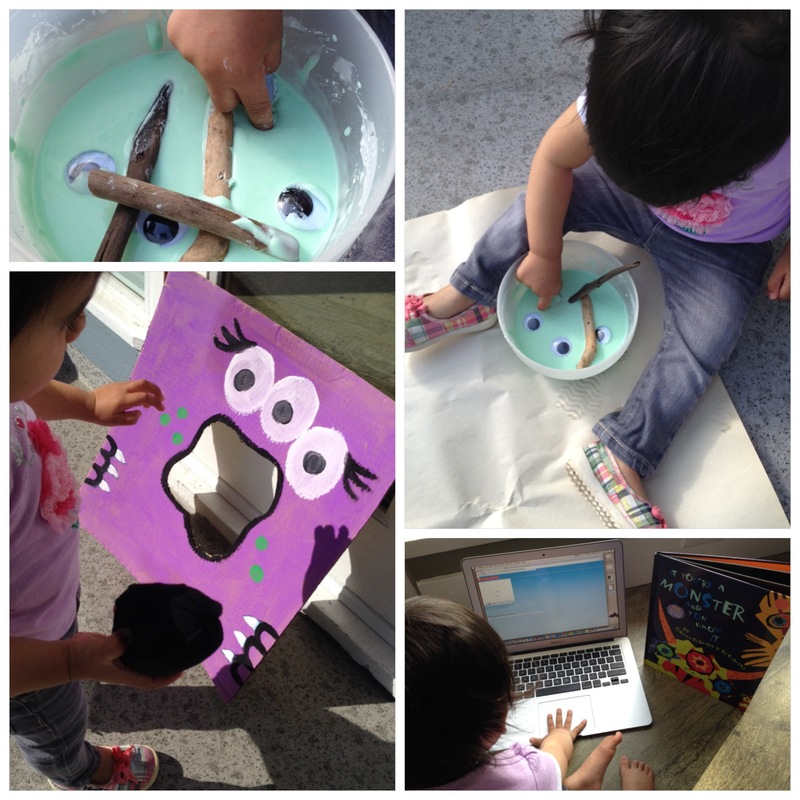 R squished the paint around and would find an object. I would them name it for her and get her to point to the equivalent part on her own body. The game lasted less than 10 mins, but I considered it a success! a. Reverse the game! Ask the child to point to a part on their own body and then ask them to find the equivalent part in the bag. b. To encourage writing with older kids, have them record a list of monster parts they found in their I Spy bag on a piece of paper. Use a clip board to hold the paper for added fun!